Tips on how to choose the right camera sling bag. Slings are perfect for mirrorless cameras and light DSLR kits. Because Sling bags are worn on one shoulder, they are more practical for lightweight camera kits. For heavier camera kits a backpack is more ergonimically appropriate. A great choice for a lightweight mirrorless camera sling bag is the Slingshot Edge 150 which was designed specifically for mirrorless cameras like the Sony A7 RII. 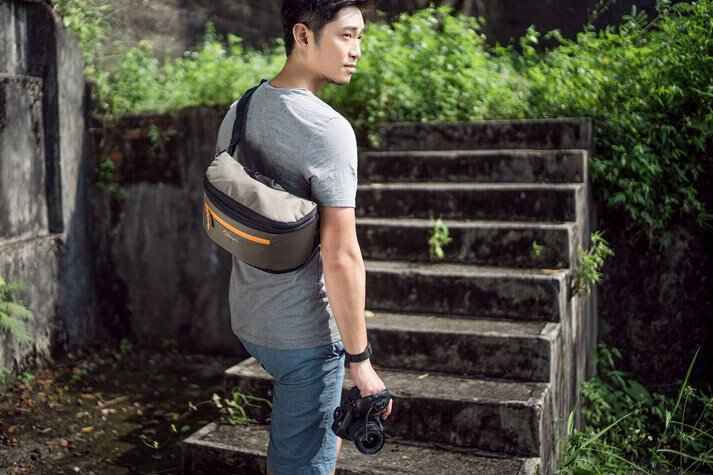 For a super compact mirrorless bag that can be worn as a cross-body sling consider the m-Trekker HP 120 which is perfect for a compact camera or very small mirrorless kit such as Sony A6300/A6500. For a DLSR kit, the SlingShot Edge 250 is great fit for cameras such as the Canon 7D mkii or Nikon D7200. Get outdoor protection from the elements. Consider the level of weather protection that you will need. 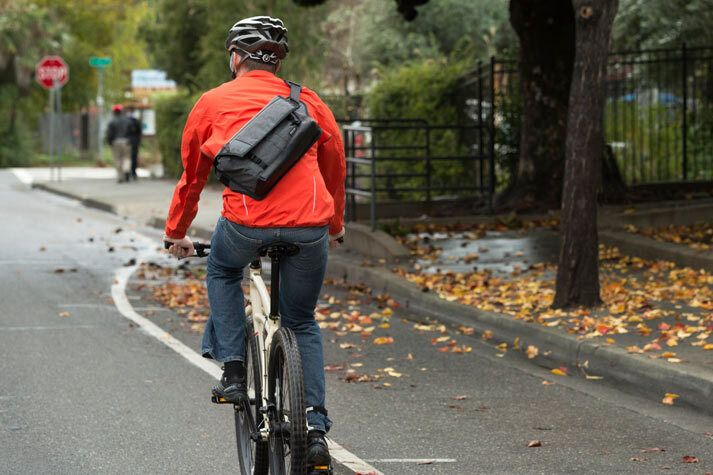 If you are traveling outdoors and in climates where weather can quickly change, look for camera sling bags that have a built-in All Weather AW Cover such as the Passport Sling III or SlingShot Edge. If you are in the city and just need basic weather protection, a bag with modern water resistant fabrics such as the StreetLine Sling will function well. Make sure your sling has a dedicated protective compartment. Carrying all your digital devices in a single solution is often now a must for many traveling photographers. Having a camera sling bag that has dedicated protection for your camera and tablet as well, means you can stay connected while traveling and shooting. 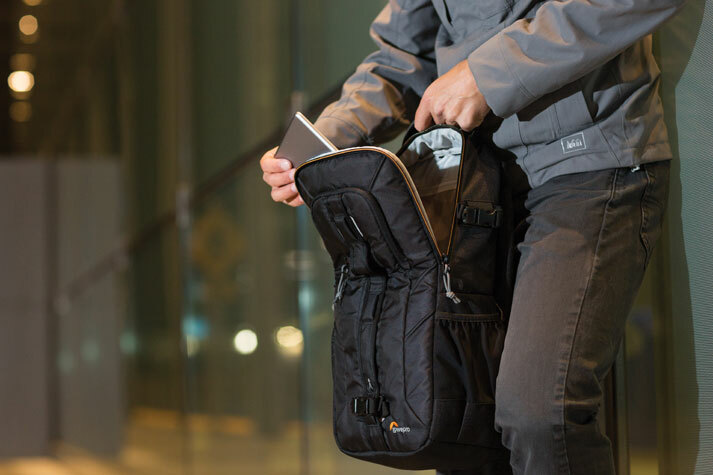 Don't settle for cramming your tablet into bags that weren't meant to protect these devices. Camera sling bags such as the Slingshot Edge or the Passport Sling III have dedicated compartments for your camera and tablet. Stay nimble with a bag that transforms for travel. 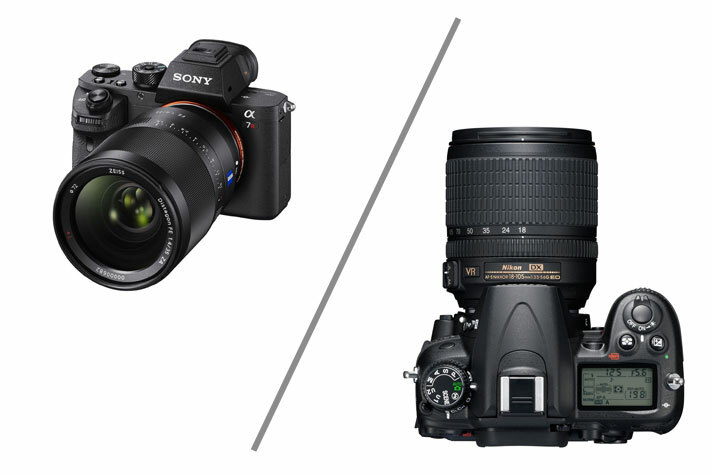 Traveling with your DSLR camera or mirrorless camera will present many different carrying scenarios. If you want to go light, but have space for expansion, take a look at the Passport Duo, which expans into a ultralight backpack. The Passport Sling III is another great travel bag. In addition to an expandable compartment the Passport Sling also features a removable camera insert. You can remove your camera gear from the bag and keep it protected while your camera bag has turned into an everyday sling for whatever stuff you need to carry.